This is revamped smc lens which has been available for a while and means it can be made at a price you can’t moan about. Maybe other smc lenses will follow suit, and wouldn’t it be nice it the limited range was given the same treatment. Well, the possibilities are endless. I think this is a great move by Pentax. It is not claiming to be anything other than what it is. Anyone shooting film will love it too. The Limited FA lenses would go down a storm. 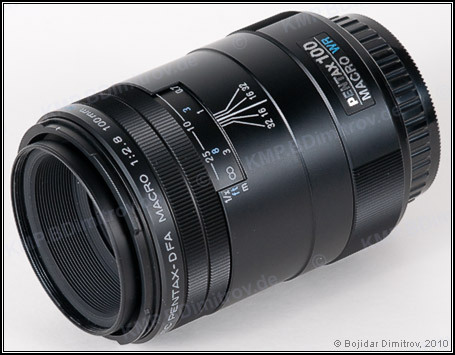 I wish they were revamping lenses like the DFA100WR with weather resistant construction. Same with the HD Limited lenses. Still a great lens. Glad they are updating it to continue production. I wish they were revamping lenses like the DFA100WR with weather resistant construction. They did! That is the updated version. Clue is in the WR. I suspect he meant to revamp that WR macro but add the newer HD and SP coatings ...? Ill admit this new prime is tempting, even for aps-c users. Finally there's a high performing new option at a price the poorer amongst us can manage, as we don't always want to be scouring the classifieds for our decent glass. The lack of WR and silent focussing is a fair compromise to get into the game. Presumably Dan's post means that Ricoh-Pentax should upgrade existing lenses, including the HD Limiteds, in a similar way that they have already done with the 100 macro, as shown in John's post. 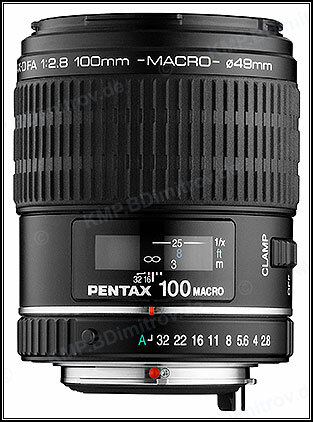 If so, I agree - all Pentax lenses should be WR. The thing I was most surprised by is that they've kept the aperture ring. That's definitely a good thing in my book as if I were to ever get one (unlikely) I'd be able to use it on all my K-mount film cameras too. Yes, we've had so much of old lenses on new cameras .... Now it can be new lenses on old cameras! Yes, sorry. Given the time of night my writing was not up to scratch. I meant that all old designs being revamped should be WR and QSF including the Limiteds. You might not remember it, but they did! I meant that all old designs being revamped should be WR and QSF including the Limiteds. New coatings and focus grip is not much of an engineering challenge. The revamped lens can be produced immediately, and importantly sold for a reasonable price. Once you introduce WR or QSF you are redesigning the lens. That means time and expenditure on a product, both of which may in in short supply in Pentax land. With the 35mm f2 there is no point redesigning it as there is a fast 35mm new lens already in the pipeline, which undoubtedly will sell for many multiples of the revamped FA. For the classic LTD range I agree there may be a case for keeping the optical formula but adding more modern features like coatings, QSF and WR but the cost inevitably will go up for this. Most boring lens test EVER! +1 I'm with you there, Dan. Producing a range of DSLRs that are all WR, and even cheap WR kit lenses, while not upgrading the existing good lenses to be WR seems totally idiotic to me. I would have thought that these should sell at least as well as the Limiteds do now, and I'm sure there are many of us who are unwilling and/or unable to pay out for, and/or carry, the completely new huge lenses with huge prices, however good they might be.